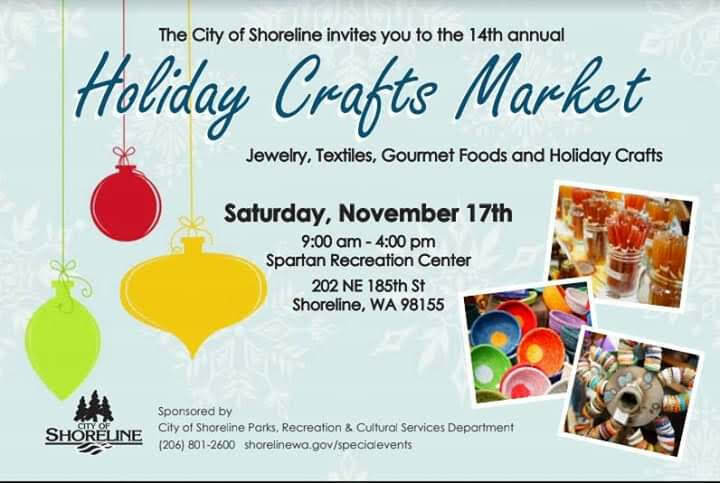 The big City of Shoreline Parks and Recreation Holiday Crafts Market is this Saturday, November 17. It runs from 9am to 4pm at the Spartan Recreation Center, 202 NE 185th St, Shoreline 98155. Jewelry - textiles - holiday food - holiday crafts!